I can’t believe that fall is upon us once again. I hope you had a wonderful summer! There are so many things that I love about this season. My ultimate favorite is that first bite of apple, just seconds after picking it from a tree. Second, a good bonfire while sipping extra dark hot chocolate. Third, knowing that the mosquitoes are finally gone! Keith and I enjoyed the fall colors last Sunday while kayaking on Twin Valley Lake at Governor Dodge State Park. We might go for an apple drive this weekend to Gays Mills then cross the Mississippi and end up at some quaint little town. Who knows? Anyway, we thought it would be fun to put together a few things that we like to do in the fall plus events happening in the next couple of months that caught our attention. Have fun filling up your bellies and your calendar! 8. Visit your favorite apple orchard. 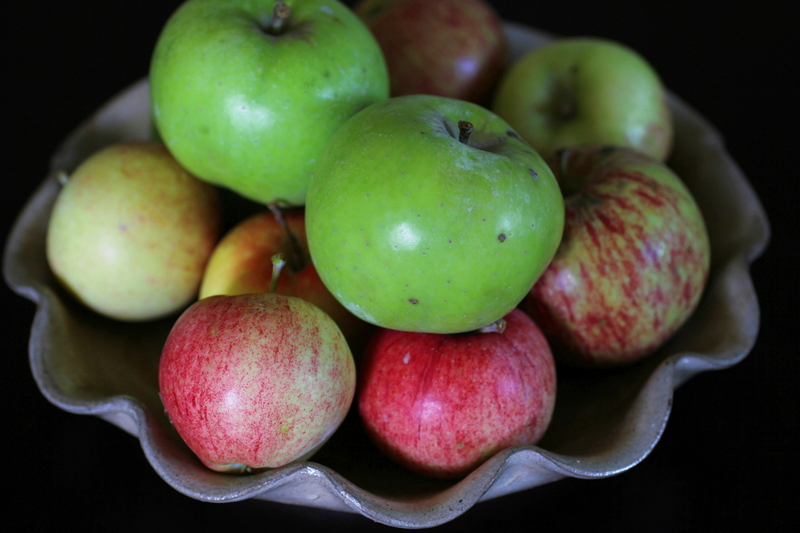 Pick some apples to make pie and enjoy an apple cider doughnut or two! Check this list to find the orchard nearest you. 9. Go on a fall color drive then catch a ferry ride in Cassville. Last day of operation, October 26, 2014. 10. Enjoy every last bit of fall sunshine! Go hiking, kayaking, picknicking, or camping. Shop the markets while they last!